This is a lovely decoration for Ramadan that I had students in the previous years made. It requires advance scissor skills as there are seven 5-pointed stars to cut out. It's really lovely when you have a whole bunch of them hanging down from above. 1. Print out the stars. 2. Colour the stars in. 3. Cut the stars out. 4. Decorate each star with star stickers and glitter. 5. 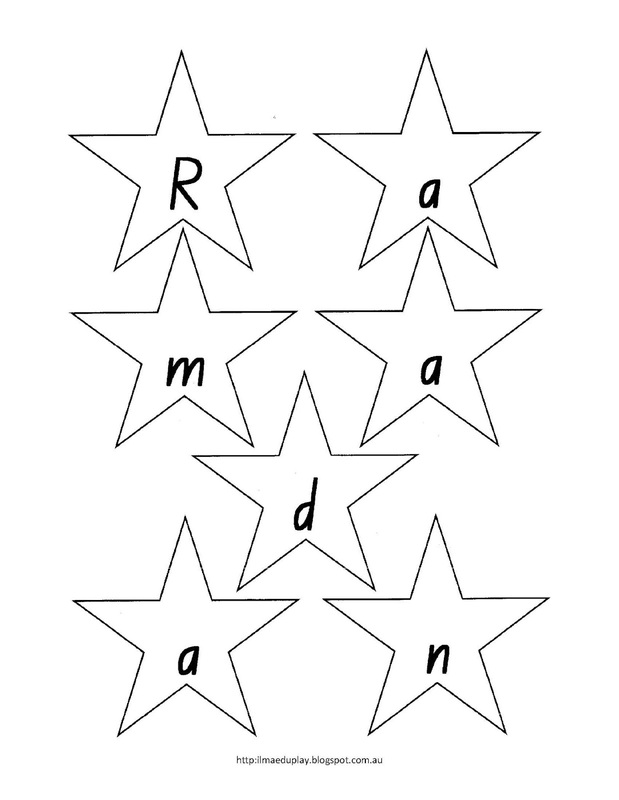 Lay the stars face down in Ramadan word order in a line going down. 6. Cut out a piece of string longer than the five stars in a line. 7. Place the string along the back of the stars and tape in place on each star. 8. Hang it over a doorway or from the ceiling. 9. 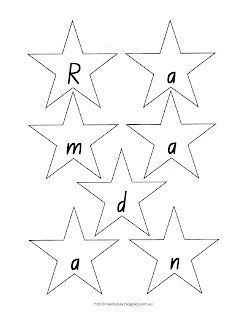 Optional: You can make this longer by adding more stars to form the words Mubarak. Just know that it will take longer to finish. 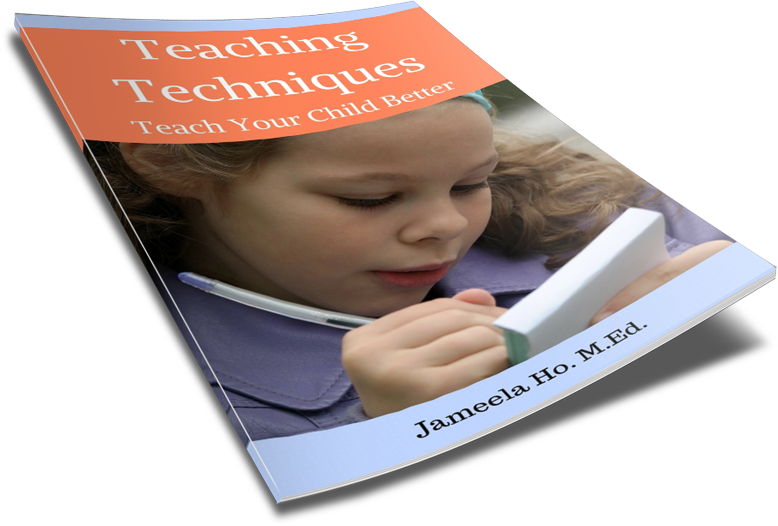 I've included blank stars in this download so that you can write in your own letters.